The course leaders for the Academy include the following people. Anita's PhD was on the Faul-Powell Algorithm for Radial Basis Function Interpolation. She then worked on the Relevance Vector Machine with Mike Tipping at Microsoft Research Cambridge. Ten years in industry followed where she worked on various algorithms on mobile phone networks, image processing and data visualization. She provides mathematical consultancy via Silhouette Solutions Limited, and is also a Research and Teaching Associate at the Laboratory for Scientific Computing in the Department of Physics at Cambridge. James Davenport is Hebron and Medlock Professor of Information Technology at the University of Bath, where he led the HPC procurement activity. He received BA (1974) and PhD (1980) degrees from Cambridge, and a retrospective MMath in 2011. He has used C since 1983, and lectured it since 1985. Mark graduated with a degree in Mathematics from Cambridge University in 1995 and has worked in IT systems management and scientific computing since then. He was the first technical hire at Electronic Share Information Ltd (later E*Trade UK) which was the first website in the UK to distribute realtime share prices and financial news with online trading. He then spent 3 years in the Systems group at the European Bioinformatics Institute and since 2001 has led the day-to-day IT managementand research activities of the Cambridge eScience Centre. Current areas of interest are: sensor networks, medical imaging and computational oncology. David graduated with a degree in Physics from Imperial College London in 1987, and gained his PhD in Theoretical Physics from Glasgow University in 1990. He spent the next four and a half years doing research in Lattice Field Theory at Edinburgh University before joining EPCC in 1995 to support the Cray T3D, the UK's first national parallel supercomputer. His research interests are in performance optimisation and parallel scaling of application codes. Currently, much of this work is done on the UK's national supercomputer HECToR, a large Cray XE6 system hosted by EPCC. He is a member of EPCC's Exascale Technology Centre (ETC), working on fundamental issues associated with programming systems comprising millions of cores, which includes studying the efficiency of parallel languages and algorithms. David has a strong interest in training, and is Programme Director for EPCC's one-year postgraduate Masters course, the MSc in HPC. Jessica Jones is an experienced Unix systems administrator, HPC specialist and software developer. She has been using and working on Unix systems in a variety of languages including C since she was 12. She actively contributes to a number of Open Source projects, including Fedora Linux, on which RedHat and its derivatives, such as Scientific Linux, are based. By training, I am a mathematician and statistician, but have worked in computing all my career, starting in 1966 on a Mercury Meteor. In recent years, I have been doing various tasks relating to the support of high-performance and scientific computing, including the development of parallelism and language standards, some open source projects, and teaching those, practical software engineering and so on to scientists. I am actively involved in ISO WG5 (Fortran), used to be in WG14 (C), and have some involvement with several more (including C++ and MPI). Nikos Nikiforakis gained a degree on Aeronautical Engineering from the University of Manchester and an MSc on Aerospace Propulsion and PhD on the 'Evolution of Detonation Waves' from Cranfield. He worked as a post-doc on global atmospheric modelling at the Department of Chemistry, University of Cambridge. From 1996 he was at the Department of Applied Mathematics and Theoretical Physics, University of Cambridge, where he was the group leader of the Laboratory of Computational Dynamics (LCD) and the Course Director for CATAM (Computer-Aided Teaching of All Mathematics). 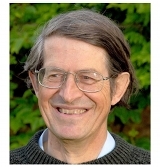 Since 2008 he has been at the Cavendish Laboratory, where he is the Head of the Laboratory for Scientific Computing and the Director for Academic Programmes of the Centre for Scientific Computing of the University of Cambridge. He is a Fellow, College Teaching Officer and Director of Studies in Mathematics, Selwyn College. Matt graduated with a Physics degree from the University of Birmingham in 1989. He then worked in industry for 2 years, before returning to Birmingham for a PhD in computational physics / molecular dynamics. He then did postdoc research in ab initio modelling of materials in Durham, UCL and Cambridge before moving to York in 2000 to take up a lectureship. He has extensive experience of scientific computing and is one of the lead developers of the CASTEP electronic structure code. He has been a user of successive national supercomputers, is coordinator of the UKCP consortium of HECToR users, and is sysadmin for a 256-core cluster at York. Matt also teaches HPC to MPhys/PhD students at York. Professor Rodger's research is on atomistic simulation of liquids, crystals and interfaces, predominantly using statistical mechics methods including molecular dynamics. His research interests relate to theory and simulation in chemistry, where he have been active both in developing the methods and applying them to important scientific and industrial problems. He is the Director if the Centre for Scientific Computing at Warwick University.